Congratulations to the Eight Graduates from Smith Freed Eberhard’s Black Belt Trial Advocacy Training Program! 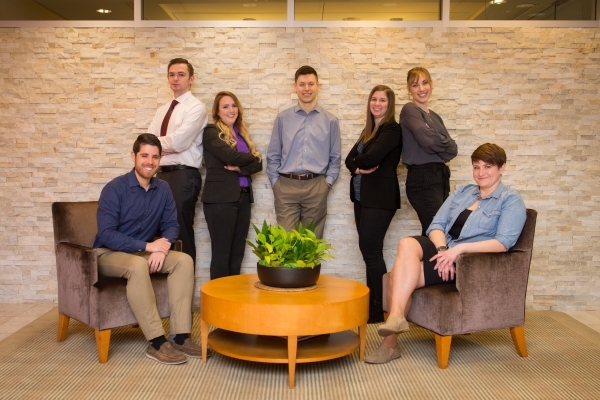 Smith Freed Eberhard is pleased to announce the graduation of the most recent class for the firm’s Black Belt Trial Advocacy Training Program: Dylan Hallman, Dmitriy Golosinskiy, Rachel Staines, Ian Baldwin, Melanie Gillette, Elizabeth Kuhn, Christina Risberg, and John Stauffer. The Black Belt Trial Advocacy Training Program was developed by the firm in order to give its attorneys access to trial skills, experiences, and coaching from some of the top trial lawyers in the state. In today’s legal environment, settlement, mediation, and arbitration have become commonplace. Litigators who wish to become battle tested trial lawyers have limited opportunities to develop and test their trial skills. The Black Belt program seeks to fill that gap by equipping attorneys with the tools they need for success. It teaches them how to effectively communicate, hones their presentation techniques, and helps them to develop relatable trial themes. The rigorous training process is more than just filling out an application and sitting through a couple lectures. Training classes commence after the workday ends, and homework is a part of the learning experience. The program is based on Herbert J. Stern’s “Trying Cases to Win Trial Advocacy Series” and incorporates a mixture of team meetings, communication workshops, and presentations in front of a mock jury. Participants are then critiqued by a review panel of experienced trial lawyers and communication experts who provide recommendations and advice on how to improve their case and courtroom performance.